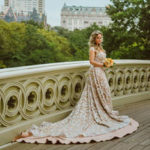 The creative photography is part of the wedding photography session in which the couple is wearing their wedding attire. At this point in time the bride and groom have had enough time to get used to the cameras and thus will be able to move around more freely and easily. 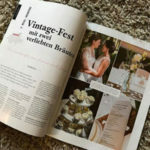 We have selected some secrets for our Brides to be, have a look for a lot of interesting articles in our brand new wedding Blog about tipps and tricks of weddingplanning, photoshootings, Engagement sessions, and lots of more hot wedding trends, available only in German language. When do you feel happy? And what do you expect will make you happy in many years? Okay, we are now not at "Back to the Future". But try to zoom in your mind forward for like 20 years: You are sitting cuddled in your favorite sofa with a warm blanket, a sound of a fire whispers quietly and you have your hot chocolate next to you. Your eyes are wandering around and finally you see your wedding photobook. So you take it in front of you and stroke kindly on top of the cover. As you open it, the old pages crackling a bit but you smile, because your memories of your wedding day are taking you over. You are surfing through the wedding photos and you are amazed by how beautiful you are. You are in love with the timeless lightness the photos of the wedding are showing, how unique the mood of that wonderful day was photographed. And finally here it comes - The phenomenal Wedding photo, your absolute one and only favourite wedding photograph. This is exactly the way you always dreamed about your most favourite picture. Here. Exactly here on this point do we get in the Frame! We are Lenke & Robert, professional fine-art wedding-photographer and wedding-videographer couple from the heart of Europe, serving the beautiful Alps region and the whole wide world. We are more then thankful to travel to any destination wedding around the globe. This is the way we got last year a wonderful opportunity to travel to the United States and photograph and videography a wonderful country wedding in Ohio. Meanwhile our Team grew, and we are able to cover huge Wedding events with 4 Photographers and videographers depending on the needs. Every single wedding is something very unique and very special for all of us. We do this by passion. And this is it what you can realize on our portfolio. We are chasing moods and catching special moments because our experienced radars are always on, our eyes are everywhere and we do exactly know, what you want. You want wedding photos which shows you both from your best side, pictures which will amaze your beloved friends and family. And the reportage photography which showcase all the highlights of your big day. Highlight weddingvideo which awakes all the memories in you, even in 20, 50 or a hundred years. There is even more. You want to rely on your Weddingphotography team. You want to be sure that you get what you have paid for because these are unrepeatable moments. Our Photos are peaceful and smooth, and sometimes spectacular and loud, but always creative. We are presenting Fine-Art photography and videography, because we get to know you in advance, we are trying to relax you in front of the camera and show you how to concentrate on your partner. And since we know each other, the weddingday itself will be much easier this way to shoot real and emotional wedding photos. The wedding preparations are taking months and often more then a year. So be ready to book your absolute favourite wedding vendors in time. You want to enjoy your big day, to celebrate with your love and family, and you want to be sure everything is captured in the way you always imagined it. We are bringing pictures to you full of emotions and romantic which show ones in a lifetime moments like, you and your bridesmaids are getting-ready, the Bestman is fixing the grooms tie, and checks if the rings are safe on him. And of course we are capturing those very moments like when the Father of the bride is handing over his daughter, or when the Groom sees his beautiful Bride at the first time at the end of the aisle. Our weddingreportages are sensitive picture compositions, which are fitting you the most, representing your love, showcasing the weddingparty in perfect shape on the most important day of your relationship. Wedding videos, the best motion wedding memories - in Switzerland and worldwide. "Why do you wanna marry me? ", she asked. "...so, I can kiss you whenever I want..." he answered. These are the words in a popular Love-song. With our weddingpictures, as on photo so on video, we are creating Stories. Love stories. Your Story from our point of view. Chic, Classic or playfully teasing? Beside the weddingreportages and creative wedding sessions we are specialized on cinematography styled wedding videos. Our emotion-meter can jump from heart-warming to extreme excitement. From moments when your Guests just can't stop laughing and minutes later everyone is sharing a tear of joy. Yes, this is exactly what we love about our job, as destination wedding photographers. And these are the moving pictures we will catch for you on your big day. Your weddingfilm will be a wonderful fusion of moving memories and the best highlights of your wedding day. 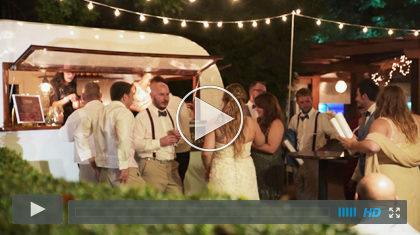 How do you imagine your dream wedding video? Shall it shine or shall it be extraordinary, do you want it as a girl's dream-come-true or should it just rock? Let us know, and we will do it. United Photographers: your wedding, our profession! The words: "Yes, I do" uniting people. Two families are going to be united, because Bride and Groom are giving promises on this day to each other, which are meant to be forever. We are United Photographers, because we are united in the same way, you two belong to each other. And we uniting memories for a lifetime because we love what we do, and we share every beautiful memory with the greatest passion. 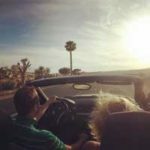 Why is that "we" so important to us? 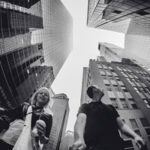 Because we two have got some help and extended our team by 3 other partners with the same mind and passion for photography. We are working together as a perfect team, this is how we can guarantee the best possible weddingphotos and videos you have always dreamed about. Even those intimate moments in the backround, oh how you we love those pictures! Because as a experienced Photo and video team we are able to catch the moments happening on the main stage, just as well as the tiny and quite moments which are happening between your beloved ones and guests. We are two. Just as you. This is why we have United. So, dear Bride and Groom, this is enough of words for now. Have a look around on our Homepage, let the photos and videos take you into a nice world full of happiness and laughter. Let them inspire you, and if you like what you see, drop us a note, we would love to hear from you! Can you guess in the meantime when are we happy? I tell you: When we capture Wedding Stories! So check out some of our Wedding Stories in our Photography Gallery!